This blog is about me, my work, my hobbies, my personal opinions on management, software development and the business world in general. Feel free to drop in from time to time to read my musings and join the discussion. All my articles are based on my personal opinion and do not automatically reflect the opinion of my employer or any other organization or network I am associated with. 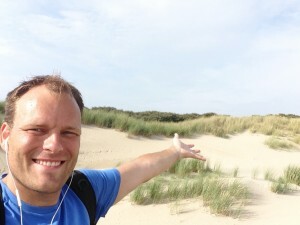 I am Joost Mulders, the writer of this blog and an agile enthusiast in heart and soul. Having fulfilled many roles in projects and organizations, from developer to consultant, from test manager to projectmanager, from business analyst to IT manager, I have seen all aspects of teams, departments and organisations from the trenches. This broad experience has allowed me to learn that everybody in an organization is in a position to contribute to the end result of the organization. Unfortunately a large part of the employees all around the world are not enabled to unleash their full potential. My mission is to change the world. And since this is not an easy goal to achieve I am trying to do this step by step by showing people and companies that there are different ways to work, ways that allow people to achieve greatness, ways that allow organisations to trump the competition. Here’s to the crazy ones. The misfits. The rebels. The trouble-makers. The round pegs in the square holes. The ones who see things differently. They’re not fond of rules. And they have no respect for the status quo. You can quote them, disagree with them, glorify or vilify them. And the only thing you can’t do is ignore them. Because they change things. They push the human race forward. And while some may see them as the crazy ones, we see genius. Because the people who are crazy enough to think they can change the world are the ones that do. Call me crazy…. a misfit… a rebel… a trouble maker… I am just trying to change things. Besides this “business” life I also have a personal life. In my personal life I live together with the love of my life, Astrid, in Utrecht (NL). When I am not working, blogging, reading or thinking up the next idea I am either (trail)running, cycling or hanging out at my favourite restaurants or pubs in Utrecht. If you want to know more about me, follow me on LinkedIn, Facebook or Twitter. If you take the blue pill, you will wake up in your bed and believe whatever you want to believe. You take the red pill, you stay in wonderland, and I will show you how deep the rabbithole goes! This is how I approach my work. If you hire me you only get presented the red pill. If you truly want to improve your organisation, your team, yourself I will go for it. I will be there and will do all that is possible to facilitate this. You will get my energy, passion and knowledge. However if you prefer to stay in your dream world and are not willing to go all in yourself then I am probably not the right person for the job.